Behold the humble cacao nib. These tiny, ragged pebble-sized raw ingredients are behind finished chocolate products, popular bars and confections. Unsweetened cacao nibs are also wonderful all by themselves or as a rich, crunchy topping for desserts, salads and savory dishes. 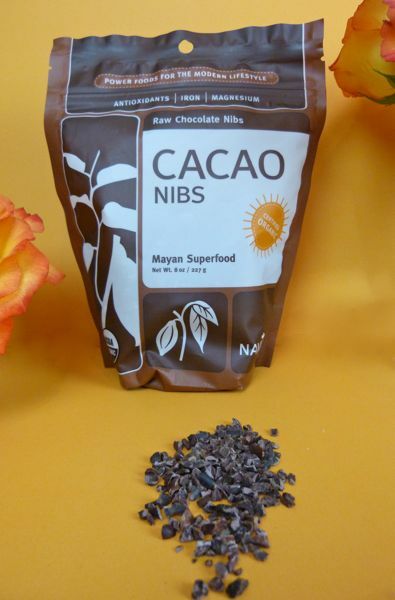 Today's Mayan Superfood, Organic Raw Cacao Nibs were from Navitas Naturals (Novato, CA). 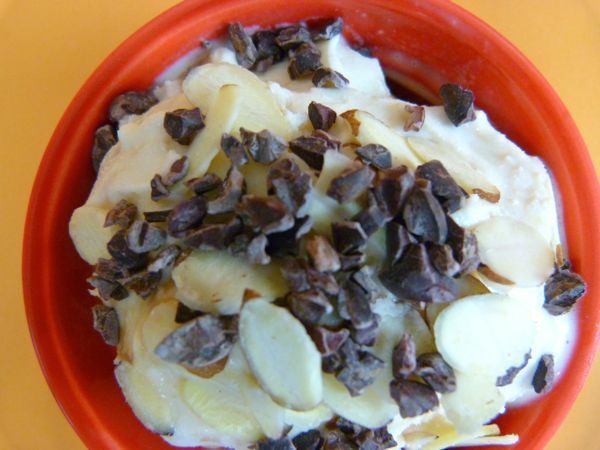 The company obtained their cacao beans from farmers in the Amazonian lowlands of Peru. I crunched on a small handful of these nibs plain; they had a very nice nutty, earthy flavor. I also sprinkled some on top of ice cream. 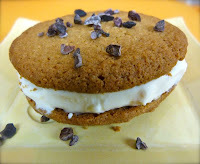 And, I made a gluten-free, distant frozen relative of a Peruvian sandwich cookies (with dulce de leche ice cream filling).